We are conveniently located in the Market Basket Plaza on Lafayette Road with free and easy parking. You can get all your shopping done in one stop. 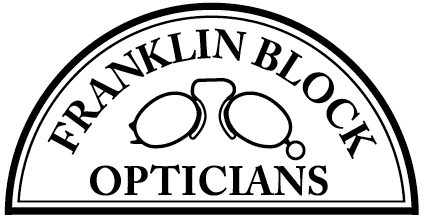 We have the largest selection of frames on the Seacoast, as well as a state-of-the-art lab to guarantee you receive fast and accurate service. A fun new completely customizable line. You pick your shape, color and size, even pick what color temples you'd like. Light and durable, these are frames for everyone. Best part they are made right here in America. The camirror is a great way to finalize your frame decision. Compare up to four frames side by side, or from multiple angles. Chemistrie clips can now be made in house! These clips are the perfect choice for seamlessly transitioning your eyeglasses into your favorite pair of sunglasses or reading glasses. Regardless of how active or relaxing your lifestyle may be, there is a sunlens color perfect for every outdoor activity. For those times when the type is too small or blurry, nothing works better, our Chemistrie+lenses greatly reduce eyestrain when using a computer or reading small print. Glasses are expensive and make a personal statement about who you are, so picking the right pair with the correct fit is important. I have purchased several pairs of glasses from these ladies. We customer service is second to none IMHO. I really appreciate the meticulous attention to detail and patience with which they help me pick new frames and the dedication to ensure I'm satisfied with the end result. Shop after shop turned up nothing but boring, humdrum frames. What a great relief it was to come across a place with hundreds upon hundreds of artsy, unique, and quirky frames! Of course they have more traditional styles for those who appreciate the classics, too! Sandy and the rest of the team couldn't have been more helpful or patient, and the entire shop was so affordable I didn't have to limit myself whatsoever! I can't see myself getting glasses anywhere else from now on. Perfect experience, very customer friendly and willing to take the time and efforts to make it flawless in every way. I would highly recommend to anyone that wants a doctor who truly cares about your vision. Thank you so very much, I will be a loyal customer for ever.